The Exel Supercloth is an economy and absorbent microfibre cleaning cloth. Colour coded available in red, blue, green & yellow. Purple Pipeline colour changing beerline cleaner. Caustic-free, extremely low in chlorine and very purple: even after twenty years, nothing comes close to it. Quite simply, PIPELINE changes colour if the line is dirty. It is a strong purple colour when it goes in the line. If it comes out discoloured - green, grey, black, clear - at the dispense head, you know that the line is dirty. If it comes out the same colour as it went in, you KNOW that the line is absolutely yeast and bacteria-free. If it's not PURPLE, it's not right... Because of its distinctive colour, there is virtually no likelihood of customers accidentally drinking it if the licensee forgets to rinse out his lines. PIPELINE is specified or approved for use by over forty five regional, three national, a handful of European brewers and Guinness Worldwide. 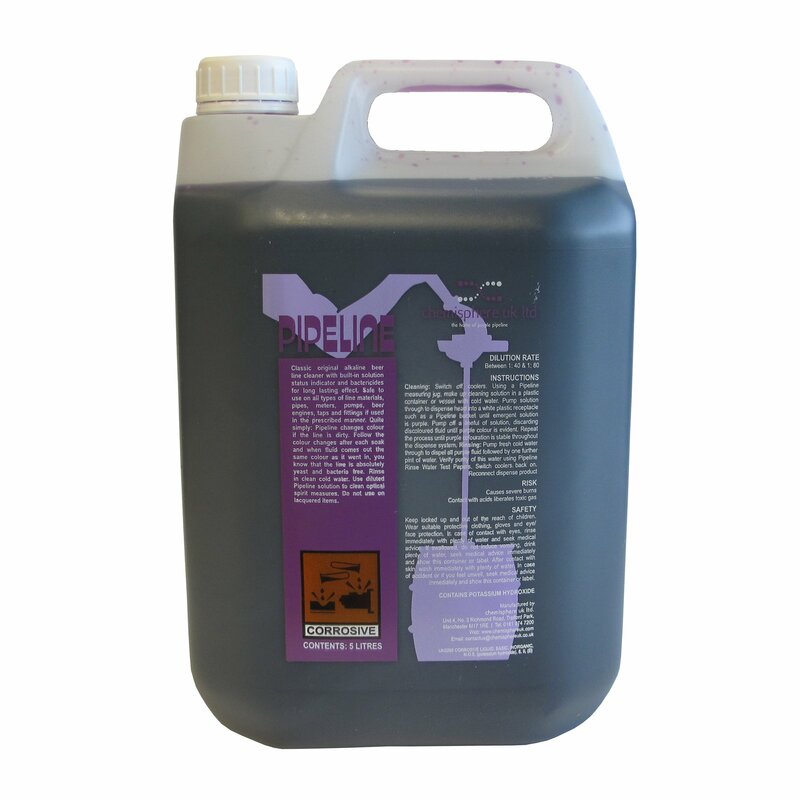 Purple Pipeline, colour change beerline cleaner in a 5 litre container.